With an abundance of new bands playing all the newer styles of heavy metal it's refreshing to hear a band cranking out "true metal" these days. You will hear a little thrash here, but no nu metal or rap metal is anywhere to be found. The band produces their own blend of the classic variety of metal. There are echoes of bands like Black Sabbath, Iron Maiden and Motorhead to be found, but these are only parts of a sound that is a unique blending of these influences. This CD is just a three song EP, but I would look for great things from this outfit. 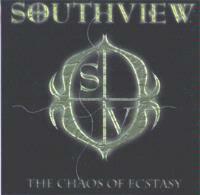 For information about the band and the music (including links to download the songs), check out their website at www.southviewmetal.com. This one thunders in feeling a lot like Motorhead. The vocals, though, sound nothing like Lemmy. This one is a pure stomper with both a killer song structure and some awesome soloing. It drops t a more sparse arrangement, then a fast paced killer bridge takes it to a new level. The move it back to the verse chorus segment to continue. This comes in slower and rather tentatively. It has a definite electric blues feel, and, in fact, has a lot in common with Black Sabbath. Again the vocals prevent any confusion there, but the song structure itself really feels a lot like Sab. The fastest cut on the disc, this comes in as thundering thrash, then they shift it to an Iron Maiden like melodic gallop. The trash comes back, then gives way to a more straight forward working man's metal sound for the verse. The thrash segment becomes the chorus. This is the most dynamic cut on the disc and the most aggressive. The Maidenesque segment returns later and gets expanded out into a killer jam. For me, this segment really makes the track.